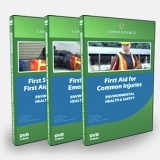 Courses in the Convergence Training Library cover many of the safety training topics which are imperative in keeping your employees safe and your company compliant. 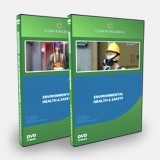 Convergence DVDs feature outstanding 3-D visual animations that bring difficult materials to life and assessments that measure your employee's understanding of the material. Convergence Training is revolutionizing the way training is created and delivered.